As part of yesterday&apos;s holiday festivities, Occupy Wall Street demonstrators held a candlelight protest outside of the New York Stock Exchange. 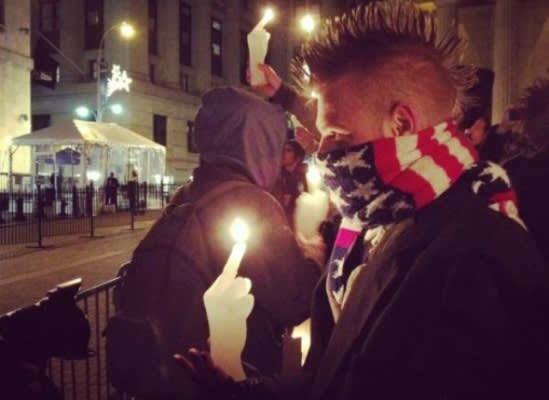 Protesters had special gifts for the NYSE-candles sculpted into flaming middle fingers. It&apos;s the gift that keeps on giving.